This structure, located at 310 N. Main Street, was built sometime before the Civil War by a “Dr. Reidel” for his sister Daisy McGinnis who operated a boarding school. The school was very popular and attracted not only local students but also individuals from the Washington DC metropolitan area. Since that time the building has had several different names including “The Flat,” “The Beehive,” “The Ritter House,” and the “Resthaven Inn.” All of these were hotels/boarding houses that served travelers on the Valley Turnpike (now US Route 11). Numerous businesses like this existed in county towns. They typically included a restaurant on the first floor and guest rooms on the second and third. Large porches, like the ones seen here, were an added attraction in the days before air conditioning. A large stable would have existed to the rear of the building to accommodate the guest’s mounts and horses available for visitors to utilize during their stay. In 1892 the building was owned by L.M. Hisey and was operated as the Resthaven Inn. The building appears on the 1908 Sanborn Map of the town which lists the building as a grocery store. In 1915 it is listed as a boarding house and in 1923 is called the “Shenandoah Inn.” Today it is a private residence. 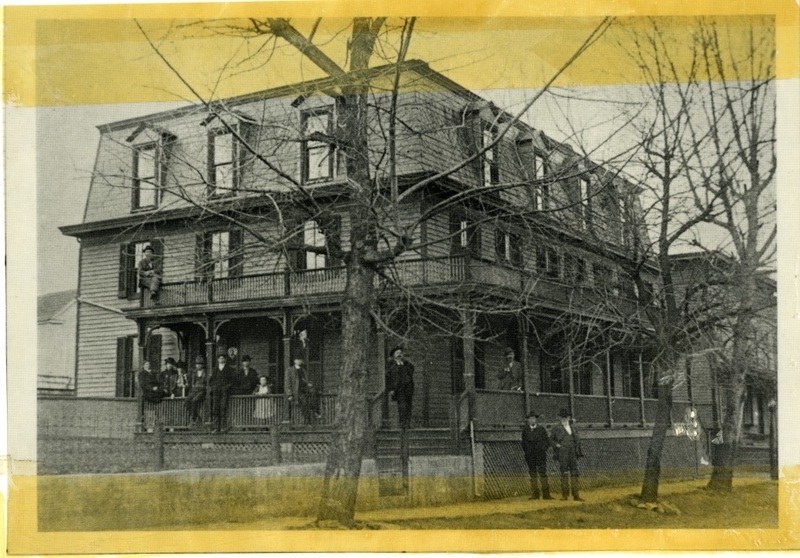 “Resthaven Inn,” Shenandoah Stories, accessed April 25, 2019, http://shenandoahstories.org/items/show/314.